The Global Educator: What do students really think about global collaboration? What do students really think about global collaboration? Today I hosted a Flat Connections Student Summit for two USA classrooms. It was a finale to the A Week in the Life 16-2 project from last semester. Both classrooms were on the east coast of the USA and it was early afternoon EST. Therefore, for me in Australia it was very early morning (5:30am ouch! ), but as I commented to the teachers, this is what you do when you collaborate globally across time zones. 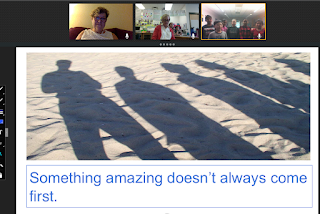 Students from Shorecrest Preparatory School in Philadelphia and Jaindl Elementary School in Florida came together in our virtual room (Fuze) to share their learning and provide constructive feedback about the online global collaborative project. 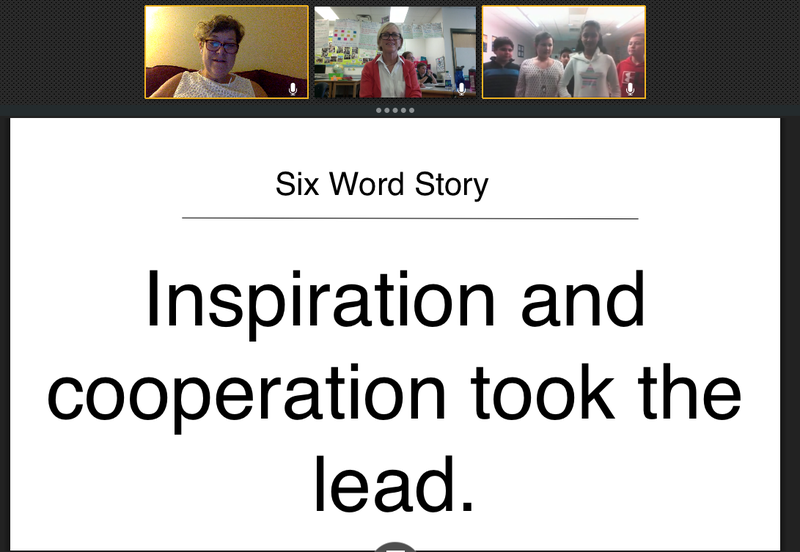 These two schools had met via Skype in the past, and they also had worked together as part of the larger project asynchronously using Edmodo and Voicethread. Shorecrest were 4th grade and Jaindl were 5th grade students. What did the students really think? 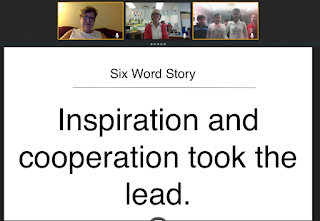 One of the outcomes from Jaindl school was each team created a 6-word story to summarise their experience. A could of these are shown below while they were being presented. This is something we agreed would be an excellent addition to the project in the future. Collaboration means being able to 'get on' with others - so although there may be disagreements between cross-school teams, the goal is to problem solve and come to a mutual understanding - phew, we all need these skills in today's world! Research is about exploring the local community and 'backyard' to share globally as well as finding those important global facts. Student-centred, inquiry-based learning is key to successful sharing and better understanding of global partners here. Congratulations to all schools in the A Week in the Life project 16-2. A NEW project, AWL17-1, is starting very soon! I look forward to the learning that will take place.